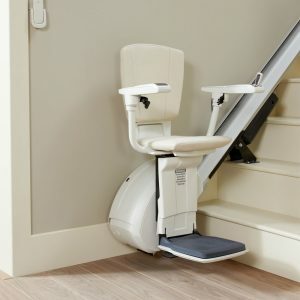 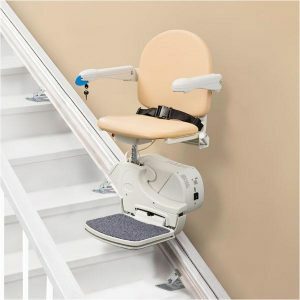 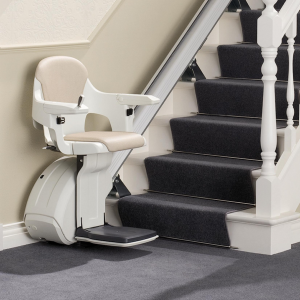 Straight Stairlifts are fitted directly to your staircase not the wall. 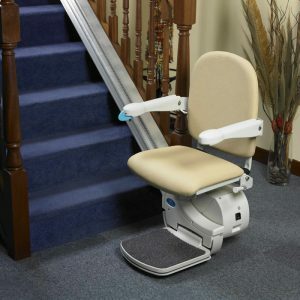 The rail is slimline and the seat folds to enable other members of the family to safely use the stairs. 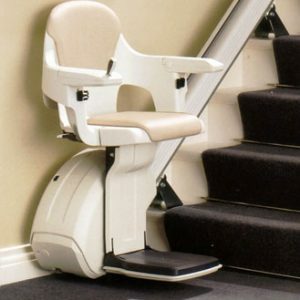 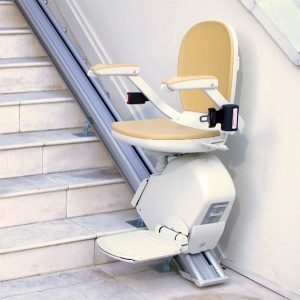 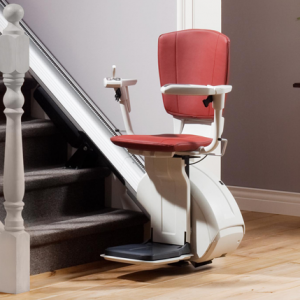 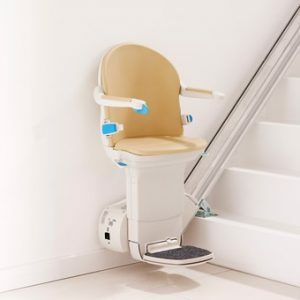 Straight stairlifts are fitted in hours, there is no structural work required. 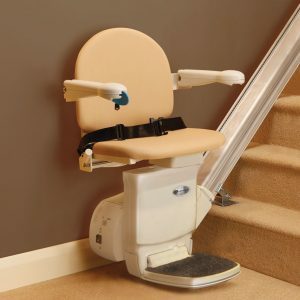 They are battery powered (with the charger connected to the mains electricity supply) so they still run even in a power cut. 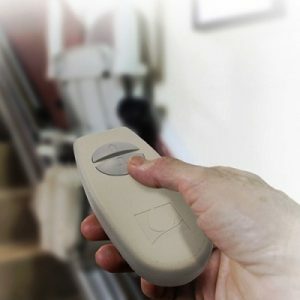 They are fitted with both remote controls and easy to use arm switches as standard.